Vineyard Worship has released “Eden” featuring Ted Kim and the song is now loaded into WorshipTeam.com “Eden” is a recording of a great new song. The latest monthly single is “Eden,” penned and sung by Ted Kim — worship leader, songwriter, and currently Senior Associate Pastor at the Evanston Vineyard. You’re the one our hearts are longing for… our Eden. Recorded at Anchour Studio in Maine. The song is full featured with complete lyrics, chord chart and full length audio. Check out this great new song, hear it in the original key, or choose your own key and play it the way you like it. IHOP / Forerunner Music has released “Fully Alive” through Forerunner Music and all songs are now loaded into WorshipTeam.com “Fully Alive” is a recording of some great new songs. Fully Alive was born out of the collaborative efforts of the night-and-day IHOPKC community of worship leaders, musicians, singers and songwriters who gathered together earlier this year as part of a series of Forerunner songwriting camps to create this Forerunner Music worship experience. The 15-track recording, which features acclaimed Forerunner Music artists and worship leaders Jonas and Laura (Hackett) Park, Jaye Thomas, Jon Thurlow and more, is intended to provide a colorful new glimpse into what God has been doing at the International House of Prayer, Kansas City. In this creative venture, every song was written and recorded in an atmosphere of prayer resulting in an extension and expression of hearts coming together to magnify Jesus. 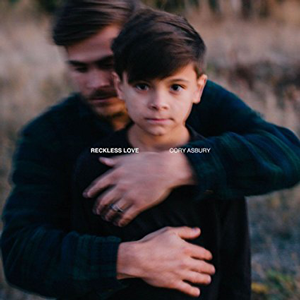 Cory Asbury has released “Reckless Love” through Bethel Music and all songs are now loaded into WorshipTeam.com “Reckless Love” is a recording of some great new songs. Worship leader and songwriter Cory Asbury has crafted a powerful new album that marks his first release as a Bethel Music artist and his second full-length release to date. For Cory, the album is an organic, soulful journey into the heart of the Father, and certainly his most personal and honest yet. A collection of 10 songs, “Reckless Love” is a whole-hearted telling of an essential story in Scripture: a Father’s desire for connection with the ones he made, knows, and relentlessly loves.